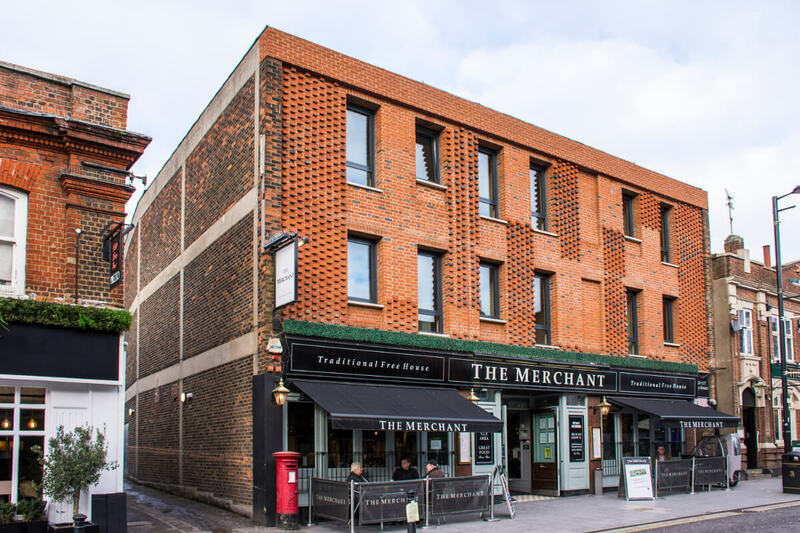 Three storey office-to-residential conversion over occupied public house. Subdivision of open plan office floors into 8 residential units (4 per floor), and replacement of 1970s curtain walling with suspended brick façade. Located in a conservation area the new façade reinterpreted the rhythm and proportions of an adjacent grade 2 listed building. 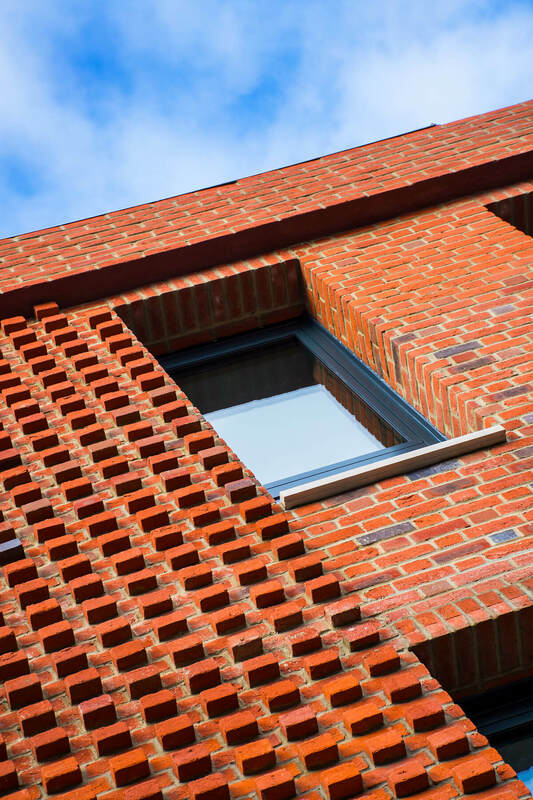 Three brick specifications were used to mediate between the colours and materials of the historic building and the office block. 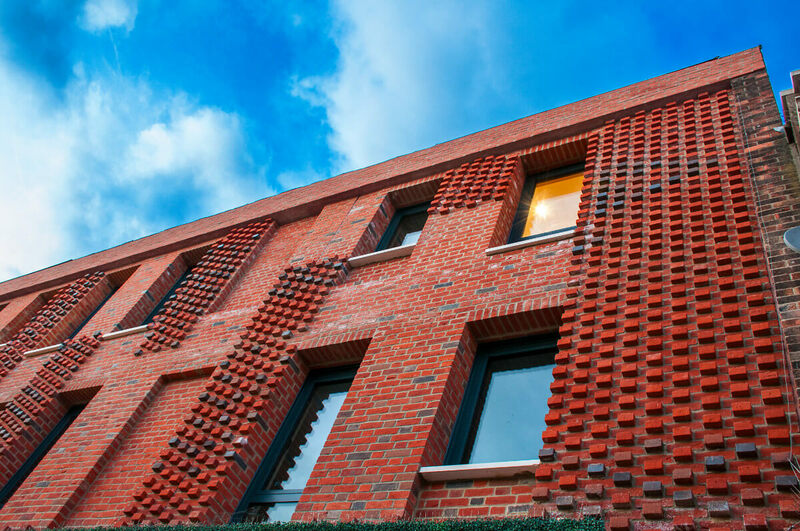 Organic brick patterns were used to balance the formal composition of the façade with a sense of playfulness. 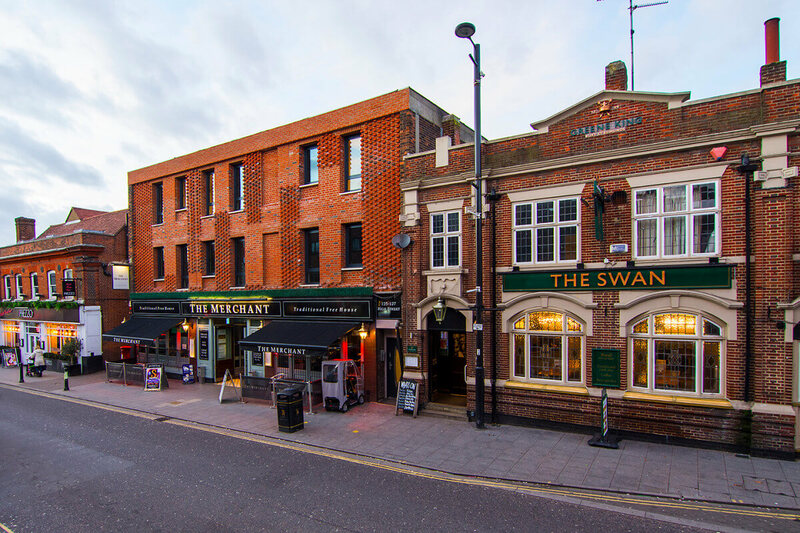 The project also involved complex co-ordination of drainage to avoid interference with the operation of the public house during the construction phase.